the decision is established. Extended and updated, this new edition contains a new chapter on structured risk and uncertainty management, updated coverage of research on how people make decisions, including fast and frugal heuristics, a detailed case study demonstrating the application of scenario planning and enhanced coverage of decision framing. Additional exercises have also been added to many chapters, while a companion web site contains valuable resources for lecturers and students. These include detailed answers to end-of-chapter exercises, PowerPoint slides, specimen examination papers and coursework with suggested answers, and links to other resources on the Internet, including downloadable software. 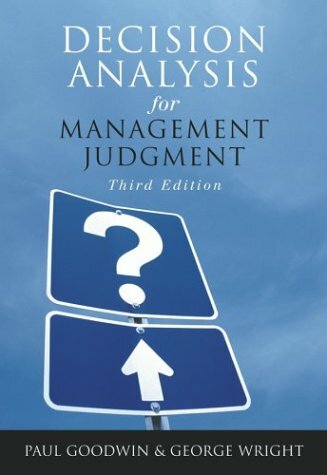 Assuming no prior knowledge of decision analysis, this book will help both practising managers faced with the responsibility of making crucial decisions as well as students on management, business administration and operations research courses.